We expect this iconic establishment to bring jobs and tourism to the region. McMenamins Inc. has signed a lease to develop a brewpub and hotel on the Port of Kalama waterfront. The Port of Kalama board of commissioners approved the lease at this week’s regular commission meeting. The new facility is expected to be open for business by the end of 2017. The new McMenamins destination will include a 40-room hotel, meeting rooms, gift shop, restaurant, brewery, and rooftop brewpub with river view as well as a smaller 500-square-foot pub a short walk away at the Port of Kalama’s Ahles Point. 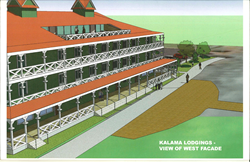 With a long history of reimagining interesting spaces, McMenamins will incorporate Kalama’s Hawaiian heritage into the design of its buildings, which will be modeled after the historic Pioneer Inn in Lahaina, Maui. Similar architecture can also be found today in Kalama in an 1870s structure that was the Northern Pacific Railway’s hospital. John Kalama, originally of Kula, Maui, lived in the area as an employee of the Hudson’s Bay Company. The Kalama River and the city both bear his name. Descendants of John Kalama are members of the Nisqually and Warm Springs Tribes. Architectural planning will commence immediately by the same firm that designed the Port’s new administrative building and interpretive center, Collins Architectural Services. 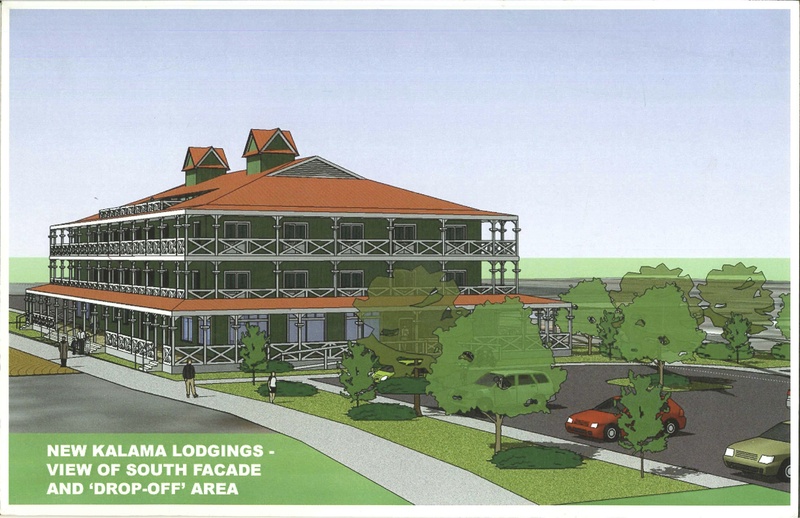 After the design is complete, the Port of Kalama will construct the building shell and exterior, parking area and landscaping, and rough-in electrical and mechanical features of the building. McMenamins will design and construct all interior components of the facilities. One of McMenamins’ signature trademarks is the incorporation of a love for historic buildings and artwork in their establishments. Several McMenamins businesses are long-storied structures on the National Historic Register with paintings, murals and artwork as focal points. The McMenamins Kalama facility will honor the town’s roots with unique architecture and visual touches. McMenamins operates 54 distinctive pubs, restaurants and historic hotels in the Pacific Northwest. Founded by brothers Mike and Brian McMenamin with a single Portland neighborhood pub in 1983, McMenamins today includes eight Washington locations and 46 Oregon properties, 18 on the National Register of Historic Places. McMenamins handcrafts its own beer, wine, spirits, cider and coffee and offers an eclectic mix of pubs, hotels, movie theaters, concert venues, spas and events for guests to enjoy. Visit http://www.mcmenamins.com for more. McMenamins plans hotel, brewpub on Port of Kalama waterfront.A hotel and brewpub with stunning Columbia River view coming to Kalama. Port of Kalama to offer commercial land for developmentPort of Kalama offers commercial land off of I-5 at exit 32 in Kalama, Washington.